Is the downgrade present in every console or more noticible on the base consoles? Out of curiosity, who are you talking about? I only played RDO once and it was awful, so I don't know. 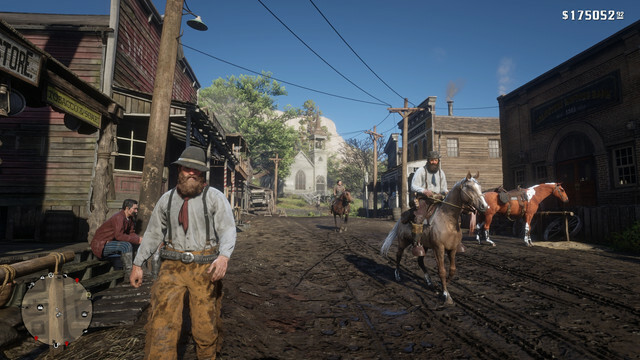 Jim Milton's gloves and pants models are only available in Red Dead Online. Aw dude, they might not have finished the game yet. There has been no graphical change as of the latest update. The game﻿﻿ has not changed graphically at all since a few weeks prior to launch in October (1.02). Obvious, but I needed to make that clear for everyone. They are simply lying and spreading false information. Everything looks identical to 1.00 other than the AO. can anyone compare the grave stone dates in NA between 1.00 and 1.07? I just Bronte’d into NA as Arthur and I swore that the gravestones displayed dates from the 1900s on em, but they’re all 1898 & previous. 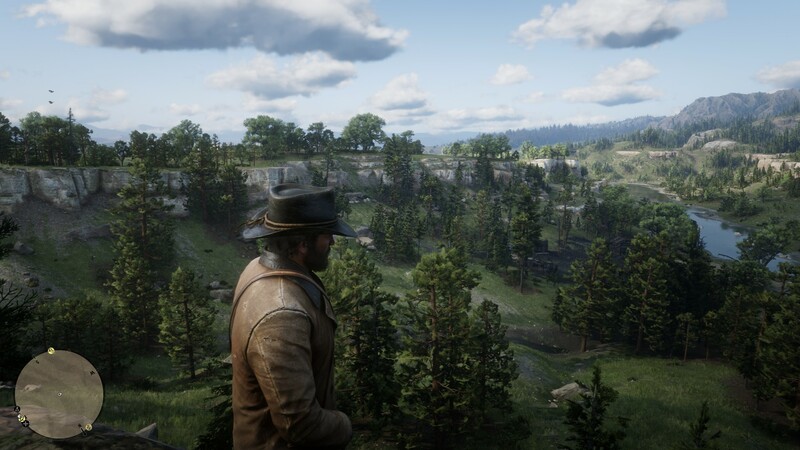 From which console are the screenshots taken? How do you know it all so well. Are you a Rockstar employee? The bottom picture looks paler in my opinion. But like I’m saying, AO was downgraded in patch 1.02 - which was released in mid-October. The game has NOT changed graphically since then. It looks exactly the same. The vast majority of people never played or saw the pre-downgraded version (1.00), do you understand? The images I posted above are a comparison to show how minimal the graphics differences are between 1.00 and any patched version of the game. The difference in AO only really becomes apparent when you are indoors. Random events are occurring more frequently and in more places.. This is my first playthrough on 1.00 and loving it. Wait, you are saying the AO was downgraded BEFORE the game launched? In mid-October? Well then help me understand this: This is my Xbox One S digital version of the game, downloaded midnight at launch, untouched since, I have not downloaded any patch, or removed any patch. This is the version of the game I've played since launch, which from what I can tell from later comparison shots, has the improved AO? No one talked about the downgrade until 1.03 in late November, a month after the game launched. That's why people were pissed, because they felt the game had been downgraded. Check some of the threads from the period. 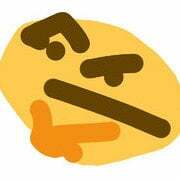 People didn't start removing patches until after Online released and they noticed the change, but you are saying it was changed before even the SP launched? If you don't think the graphics has been noticeably downgraded, you've either never played the game at its peak or you're just in denial. ^ There's just no way the game today looks like what it did at launch. (This is most certainly the case on the X1X; I can't speak for the other console versions). Is there a way for you to find out which version of the game those screenshots were taken from? That certainly looks like it’s the pre-downgraded 1.00 version. I’m not sure how updating and installing patches works on the Xbox platform, so I’m not sure if it was even possible to play 1.00 digitally ever. If those screenshots are from the 1.00 version, that only proves my point further. All the research and video analysis I’ve done strongly suggests that the game was already downgraded by launch, and the AO you have in those screenshots was not present in any playthroughs I’ve seen from launch. The visual downgrades started with the very first patch where they fixed the missing camp members glitch. 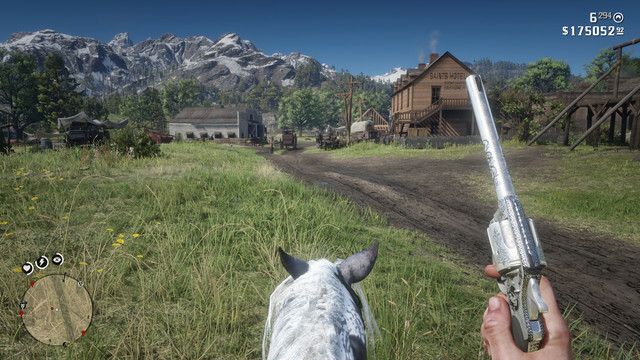 The compromising graphical fidelity itself wasn't noticeable just yet, but the decreased draw distance (especially when using a scope or binoculars) was noticeably apparent. These are my screenshots from the launch version I still have, build 1116.8, which according to Google is the "Day One" patch which rolled out a week or two before launch, like you said. But I don't see how AO was changed before launch, and I don't remember it like that at all either. The AO in my game is the improved AO, and I know that when the Online patch arrived, I refused to download it because everyone started talking about the downgrade. Why would people start removing the patch to get the original AO? How would we have known about it if the majority of us had never seen it? 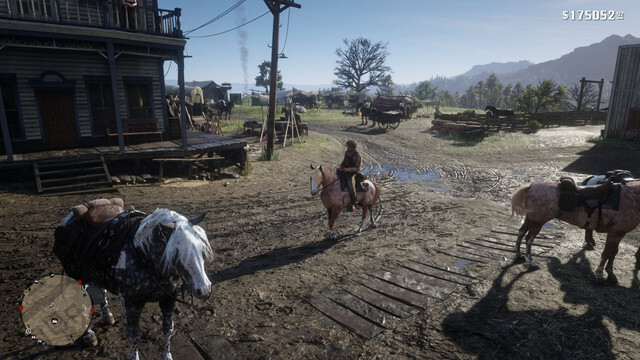 We didn't start removing the patches on a whim or for the money glitch, we did it because the game clearly looked one way from launch until the Online update, then the graphics were changed. 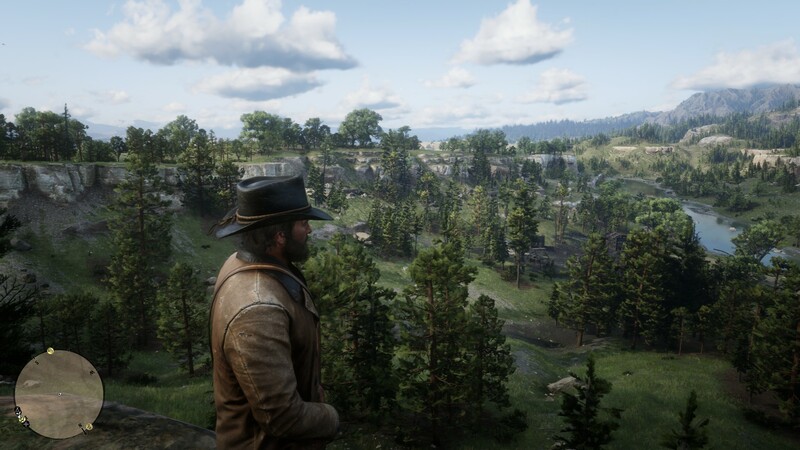 Go back to this forum and look at posts and threads throughout the week after Online's launch. Is there a risk in uninstalling the physical copy of the Xbox one X and trying to reinstall offline? I'm most afraid of making my current saves unplayable or having to download with version 1.07 if it doesn't work. The only risk is, ending up with an infinite Loading screen. Your saves will not be corrupted, but if want to use them, theres no way around going back to 1.07. Can't see it, which second and position? Btw PS4 videos are already bad, if you upload them on twitter then you have the sh*ttiest quality possible. I see some bush shape change at 6 seconds, the one in the middle, but the bitrate is so low that I can't confirm. Btw, regarding the other Youtube video you have made, there is still the quality issue (if you have the PS4 Pro save them at 1080p) and the lack of comparison in controlled environments. Another thing is that for the shape change of the objects you don't need to go that fast, but the draw distance has to be tested by going slowly on foot, so you see the distance where the shapes start to change. Running that fast with that bad bitrate is uselees, no one will be able to see any difference. Is there any possible way to revert to version 1.0 with a digital copy of the game on X1X? If not, is it possible if I buy the disc version? If it is can you PLEASE give me some pointers on accomplishing this. 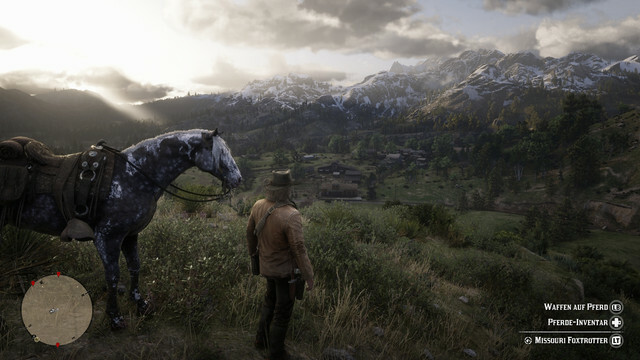 IDGAF about online mode, I JUST WANT THE SINGLE PLAYER IN ITS ORIGINAL GLORY! Created an account just to post in this thread. Im playing with 1.02 (Pro)for over 200 hours now. A few weeks ago I read in sites about how 1.03 had downgraded the game, I felt abit relieved. 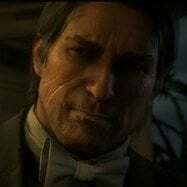 That is until I read the post from page 5, which someone states that R* made the changes back in mid Oct with patch 1.02. I went and compared pictures from my game to screenshots from 1.00 and they look the same! The train in S, Denis looks the same as in pics from 1.00(I followed the train for almost 30 minutes.) The lamps outside the general store in Valentine are lit at night. (Person said this was added in 1.03, yet it appears in 1.02 ). Im having difficulty noticing if the bread buns on the counters have shadows or not. I have brightness set on mid low on both game and tv (im playing 1080p on a 1080p tv, if that makes a diff). Im completely new to this occlusion stuff, so that may be why my eyes arent used to noticing big differences. Im not saying other people are wrong, I just want to contribute to the debate and know if I got jipped. 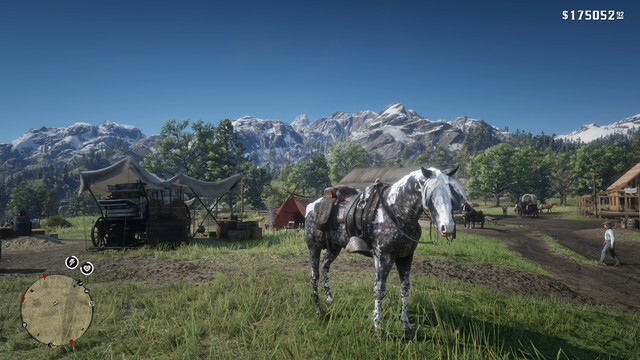 Btw how do I download my screenshots from my Ps4 so I can post them here?